NORWALK, CT – January 16, 2018–The SeniorCare Investor will host an important webinar — Seniors Housing Construction and Take-Out Financing: Slowing Down or Just Getting Started? — on Thursday, January 18, 2018, at 1:00 PM ET. A recording of the webinar will also be made available following its live presentation. The webinar is part of the Interactive Webinar Series. Steve Monroe, Editor of The SeniorCare Investor and moderator of the panel, will pose relevant topics such as: Who is doing construction financing and for which property types; Whether new sources of debt capital are emerging; What the pricing trends are for construction financing; Who is providing takeout financing and at what terms; and whether construction is really slowing down. Our panel of experts will include, Chris Fenton, Managing Director at Berkadia; Rich Malloy, Senior Vice President with BBVA Compass and Cary Tremper, Managing Director with Greystone. If interested in this topic, then don’t miss the live webinar on January 18, at 1:00 pm ET. If unable to attend the live webinar, a recording with be available the following day. 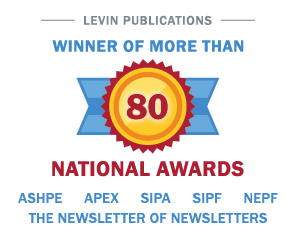 Please visit https://products.levinassociates.com/downloads/1801-webinar/or call 203-846-6800 for more information about this interactive webinar.